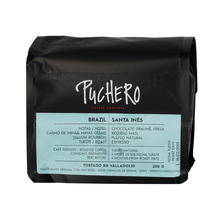 Puchero is a coffee roastery created by a Spanish and an Italian, Paloma and Marco. 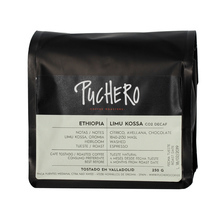 After several years spent in London, they decided to move to Spanish countryside and pursue their passion for coffee. 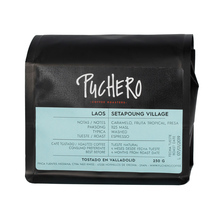 They transformed an old warehouse into a roasting, cupping, brewing and learning centre. 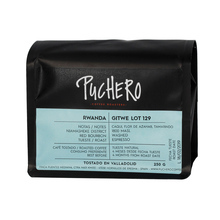 It is located in a remote place in Valladolid province, nearby Finca Puentes Mediana. 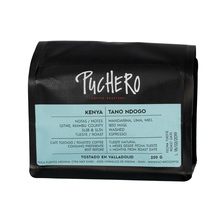 They take pride in producing only speciality coffee, in small batches, with the care of every detail. 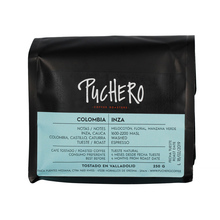 250 g Brasil Colombia Ethiopia Kenya Laos Rwanda Whole bean 100% Arabica Honey Pulped natural Washed light medium Espresso Pour over (Alternative brewing methods) Sort by: Price (Low to High) Price (High to Low) Product name a - z Product name z - a Highest rate Lowest rate New in!